Yesterday was Karva Chauth- a day of fasting for many women of India, and some men (like the character, Raj Malhotra, played by SRK in the Hindi film- Dilwale Dulhaniya Le Jayenge)! Karva Chauth is a festival of India where North Indian women observe fast to pray for the long life of their husband. They break their fast in the evening by seeing the moon and their husband through the sieve (Chalni). Hindi film fans are aware of this custom that is prevalent in North India. Fans from all over India have started celebrating it having got inspired by the on-screen (movie/TV-serial) chemistry! As is the fashion in this Shudh Desi times of India, some young girls observe it for their boyfriends! 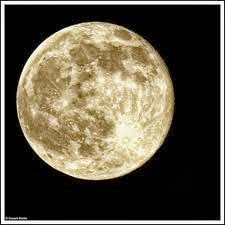 But, the main point is battling hunger-pangs while waiting for the moon’s Darshan (appearance)! Also, the Gyaan (knowledge) required in this age of nuclear families and busy lifestyles. Challenge- Sighting the Moon & Hubby fast through Chalni & knowing all the associated rituals! Solution- Can Technology be far behind?! Attention! Ladies & Gentlemen! Here's Presenting the Karva Chauth App! The Karva Chauth App by Tanishq turns our very own phone into a Chalni by giving a net-effect to the phone camera! It takes the input (either real or from the phone-memory- gallery) and puts grid on screen to create a Chalni-effect! Phone is ready to manage the whole show! It also enables Karva Chauth significant messages to be forwarded to friends! The Tanishq Karva Chauth App has many Mehendi designs, moonrise timings, an inbuilt virtual Chalni to look at the moon and the picture of husband/boyfriend in the cell, a wealth of ‘how-to’ traditional rituals that can serve as a great reliable guide for the festival, Karva Chauth songs with lyrics, and a cool game that enables husbands to ‘hide’ a Tanishq present for their wives on the virtual-moon! No moon-walking needed to retrieve the lovely gifts! Here’s E-commerce at its best for the gifting facility! The 'Treasure-Hunt' is successful as it’s easy to purchase the same chosen gift from Tanishq! I love it when Technology comes to our rescue with such cool innovation and creativity! What if there’s a thick cloud-cover and the moon never appears or boyfriend/husband is out of town? No worries! One can break the fast just by seeing pictures through the Chalni on the phone! No, the App doesn’t fast for you! That you have to do! Indian Society is sure to cope well with its customs thanks to such Technology! Such is the Akarshan (attraction) of Gyaan (knowledge) & Darshan (sighting) that the App has seen over 70,000 downloads in just 4 days only on Android! For Android Phones, you can INSTALL the Karva Chauth Application by clicking HERE. For Windows Phone, click HERE. For more details, visit Tanishq’s Blog! Hey thats a very nice post Anita. yes, its little ridiculous to see unmarried girls fast for their BF on Karwa chauth when they can do any other fast for the same. To each his own...anyways.